Former city councilor Sig Unander to talk about Columbus Day Storm on Feb. 7 in Forest Grove. On Oct. 12, 1962, Washington County was in crisis mode. Over a million people in the state went without power for weeks after winds from the now-infamous Columbus Day Storm reached more than 100 miles per hour, destroying buildings and uprooting trees. This week, local author and speaker Sig Unander wants to tap into his love of history and share his study on the storm with the community. 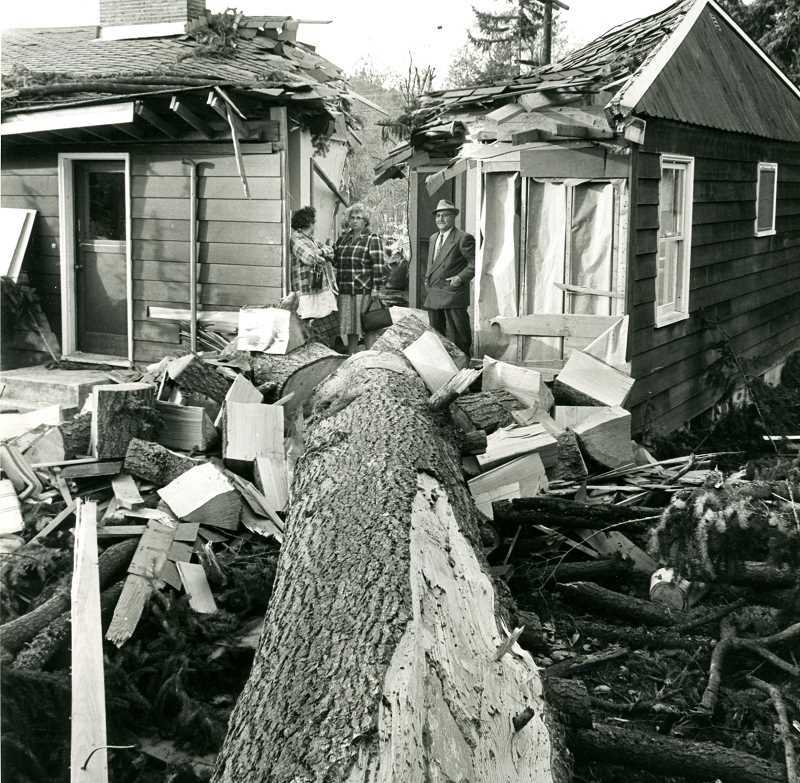 Unander is bringing his original presentation about the 1962 tropical cyclone that devastated the Pacific Northwest to the Forest Grove Senior & Community Center, 2037 Douglas St., on Thursday, Feb. 7, at 6:30 p.m.
Unander invites people who may have experienced its destruction to come and share their stories. "Many older people lived through the Columbus Day storm, and they have interesting reminiscences and they may share," Unander said. "I try to make history gripping and interesting. This is a compelling story with heroes, lessons learned; from an emergency preparedness end, it is useful to revisit." Admission to the one-hour presentation is $5 and will be followed by a question-and-answer session. "My approach is really interactive," Unander said. "I show a collected series of images, explain them and they are sequenced so they tell a story," he said. "People will see and recognize significant parts of Washington County." 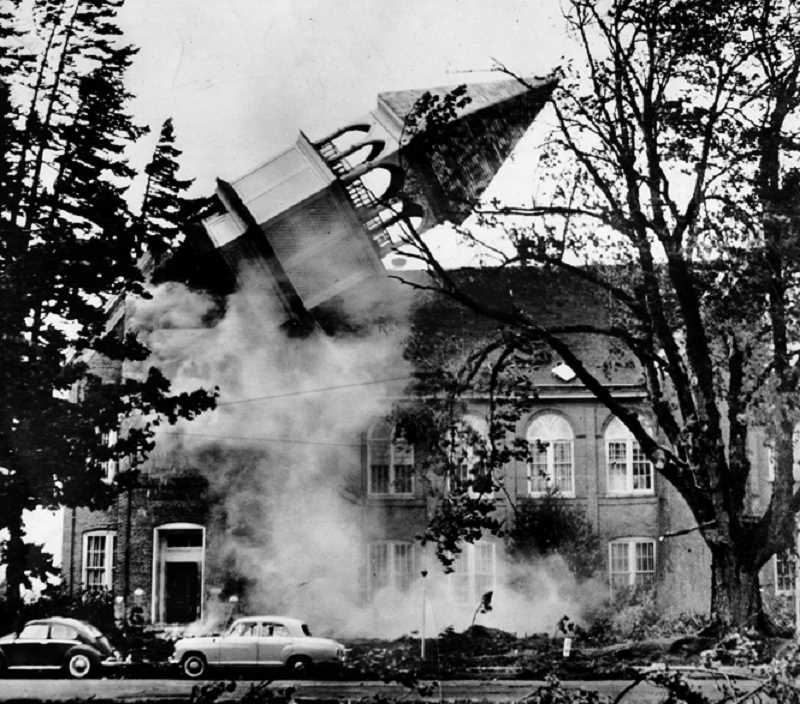 To prepare, Unander found photos alongside an archivist at Pacific University and discovered the only book written about the storm is by an author who attended the school. The Washington County Museum on Portland Community College's Rock Creek campus also helped him find images, leading Unander to see how much of a tie the county had with the disaster. Over the past 15 years, Unander has presented to cultural centers, libraries, clubs, corporate events, universities, museums, government organizations and other venues around the world. Previously an elected city councilor for Cornelius, Unander is currently working on a narrative nonfiction about Claire Philips, an American spy who worked in the Japanese-occupied Philippines during World War II. While he preps for his book to be released in the next couple of years, Unander may present future history-centric talks in the near future. To learn more about Unander, visit sigunander.com.